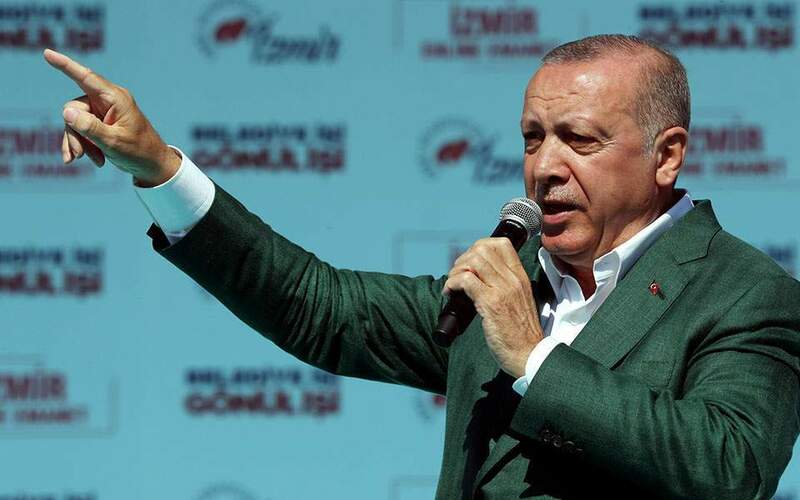 Athens has issued a stern response to comments by Turkish President Recep Tayyip Erdogan over the weekend during a speech in Izmir in which he referred to Greeks fleeing Turkish persecution at the port in 1922. "Greece is not going to be swept away in the instrumentalization of foreign policy to serve domestic political expediencies, or use history with terms that are offensive to neighboring countries," the Greek Foreign Ministry said in a statement on Sunday. "Such unacceptable references undermine the trust we hope to build between our countries and are not in line with the European perspective that the Turkish leadership claims to support," the ministry added. The statement came in response to nationalist rhetoric used by Erdogan in his speech. "Izmir! You who throw the giaours in the sea and protect the helpless," he said, in an apparent reference to the Greeks who drowned while trying to flee a fire set by Turks in the port.